Drum shade chandeliers are everywhere! Time to update this glass/brass disaster hanging above our kitchen table. 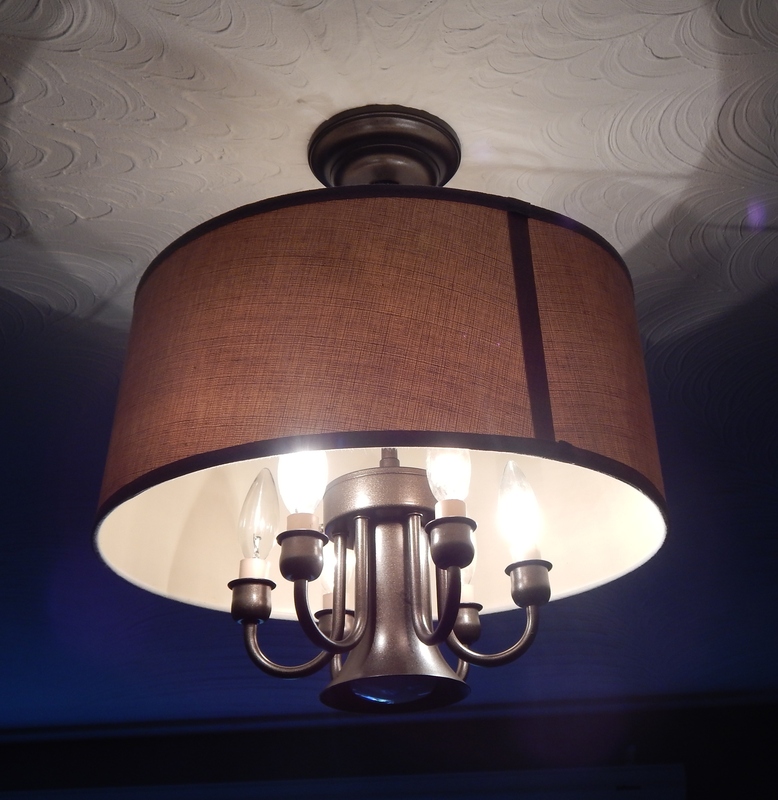 Mr. Restyle helped on this one because I know absolutely nothing about electrical safety! I forgot to take a before pic of the drum shade we picked up at the thrift store for $3. 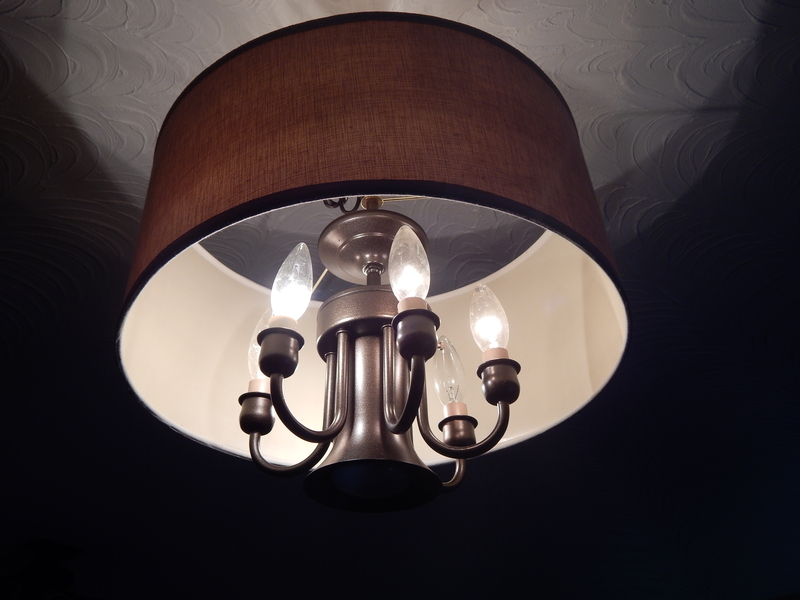 Make sure you choose one that is wide enough so that there is ample room between the bulbs and the shade. This helps ensure no risk of overheating the shade and causing fire. 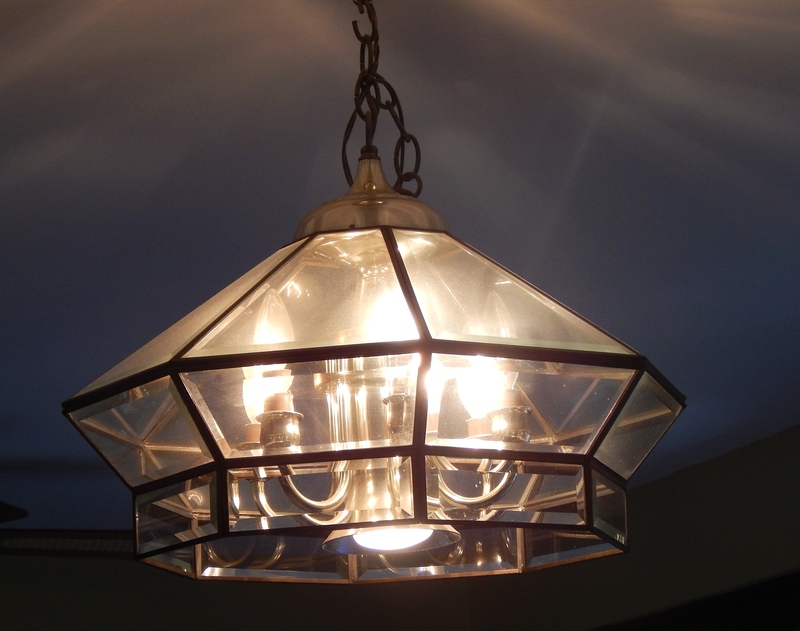 He shut off the electricity, removed the chandelier and then removed the glass. Glass is all one piece and easy to unscrew. Time for paint. 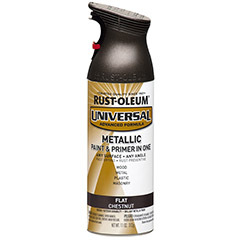 I chose Rustoleum Metallics in Flat Chestnut. 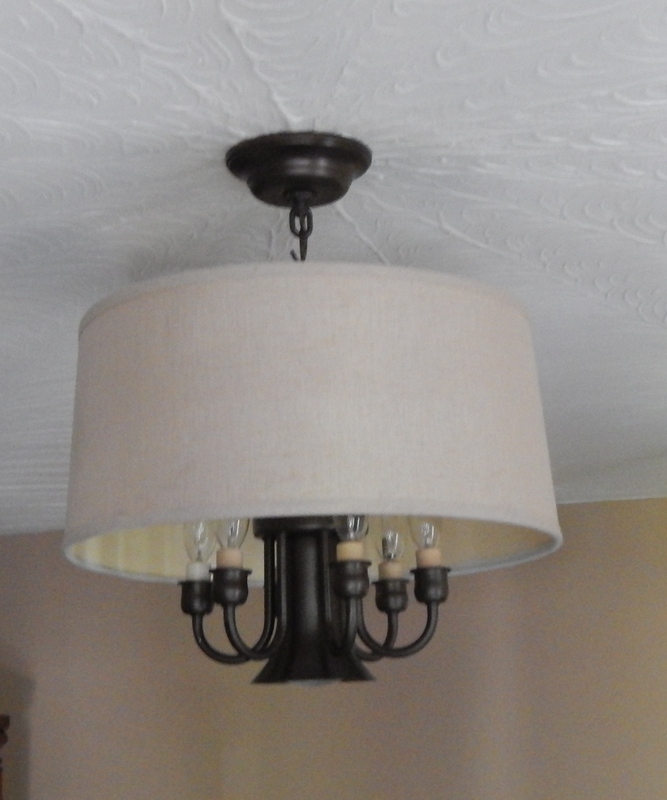 This chandelier would be moving into our family room, which has a lot of browns and creams. This makeover would look absolutely beautiful if you used a chrome or silver spray paint with a white drum shade. Maybe attach some crystals to it. Stunning! Rust-o-leum Metallics in Flat Chestnut. Paint and primer in one. Before you paint, use some some steel wool all along the brass to rough it up a bit. I forgot to do this part! Ugh! No need to prime, just spray on several light coats making sure to cover the electrical sockets with tape/newspaper after you remove the bulbs. 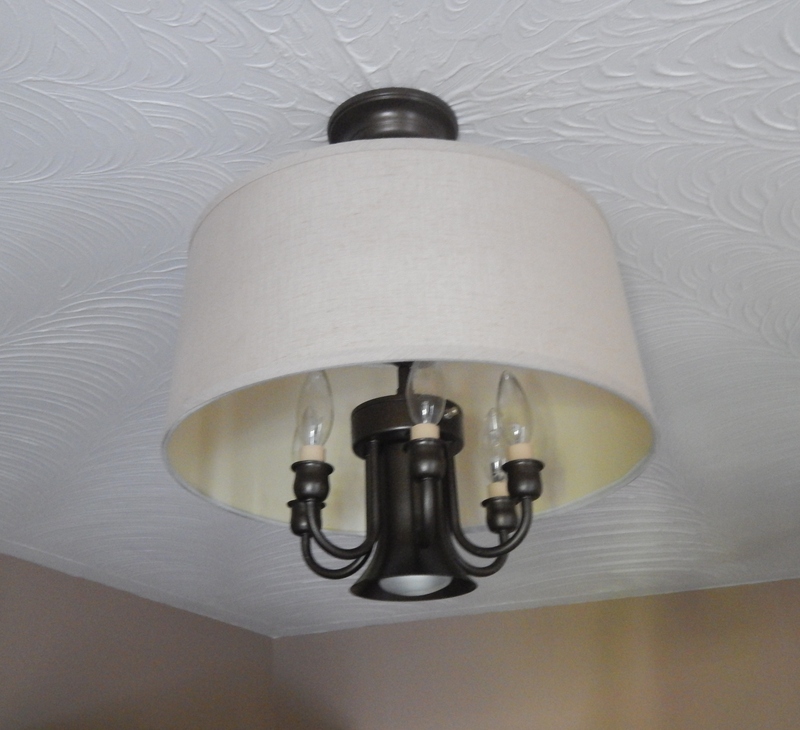 Once dry, assemble the drum shade over the chandelier and put it all back up.